At a time when government is proposing new “tough on crime” legislation, Judge Reilly provides an enlightening and timely perspective. 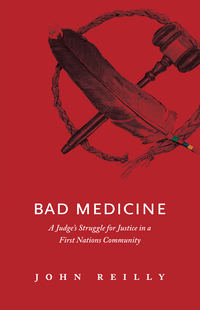 He shows us why harsher punishments for offenders don’t necessarily make our societies safer, why the white justice system is failing First Nations communities, why jail time is not the cure-all answer some think it to be, and how corruption continues to plague tribal leadership. John Reilly was appointed to the bench at age 30 and had the distinction of having been the youngest Provincial Court Judge in Alberta history. 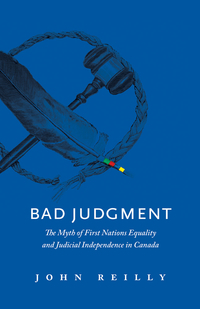 At age 50 he made a promise to himself that he was going to improve the delivery of justice to the Stoney Nakoda First Nations at Morley, Alberta. After 35 years in public service, Reilly retired in 2012. He lives in Canmore, Alberta.